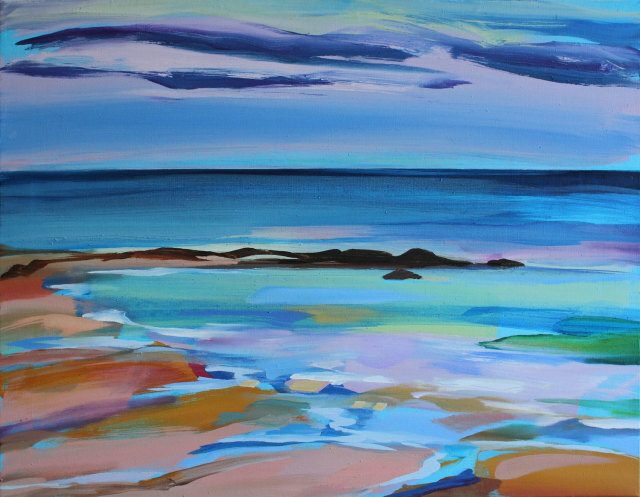 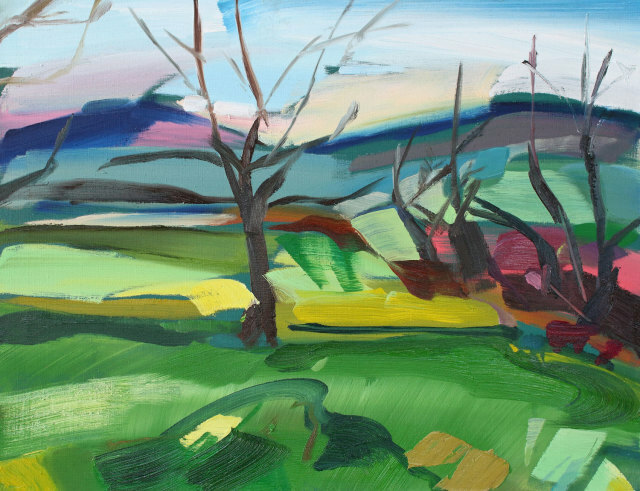 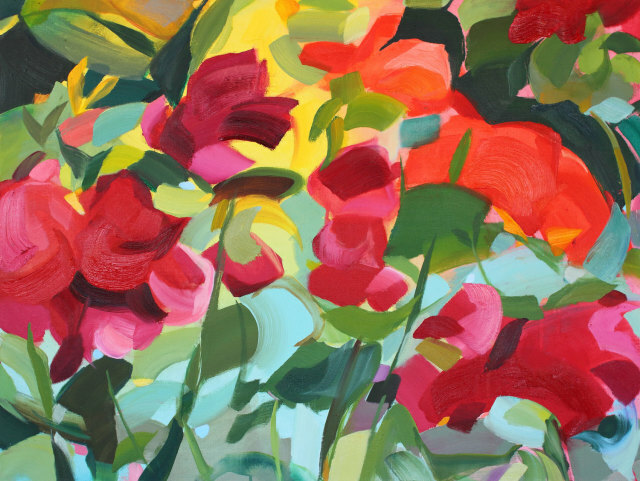 SHONA BARR’s paintings vibrate with energy. 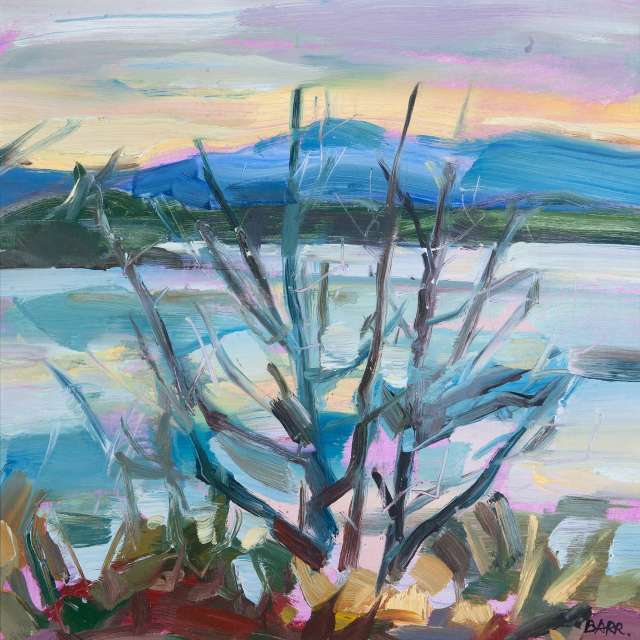 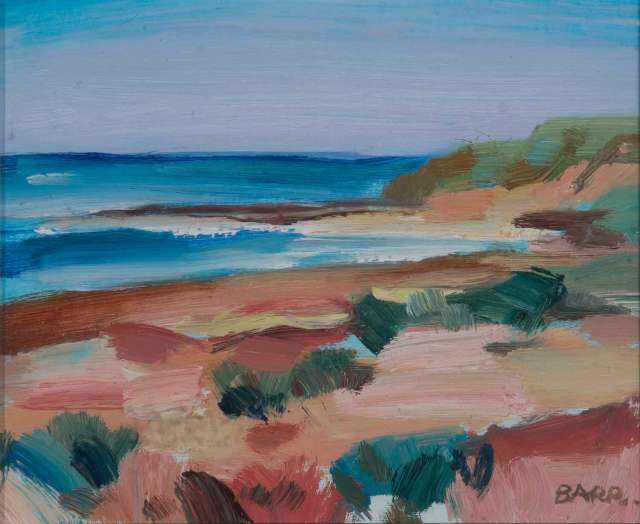 Colours, light and the atmosphere of nature are captured quickly by Barr, en plein air in watercolour, and then worked up into oils that retain this vibrancy. 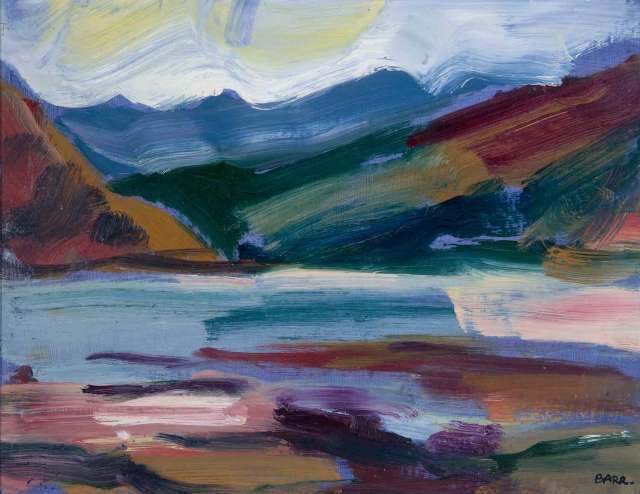 Her wonderfully loose brush-marks and bold colours put Shona Barr clearly as an inheritor and pioneer of the Scottish Colourist tradition.